"We had great food, lovely place to visit. Whether your event is social or professional, a dinner or a do, come and find out what we can do you. From business breakfasts through to birthday lunches, full day conferences to drinks and dinner parties we can serve the perfect food and drink to suit every occasion. Perfect for drinks parties and buffets, with your own bar. Ideal for up to 30 standing guests. Perfect for a family lunch, drinks parties for buffets. Can seat up to 12 guests. Flexible spaces for the full dining experience. Can seat up to 80. 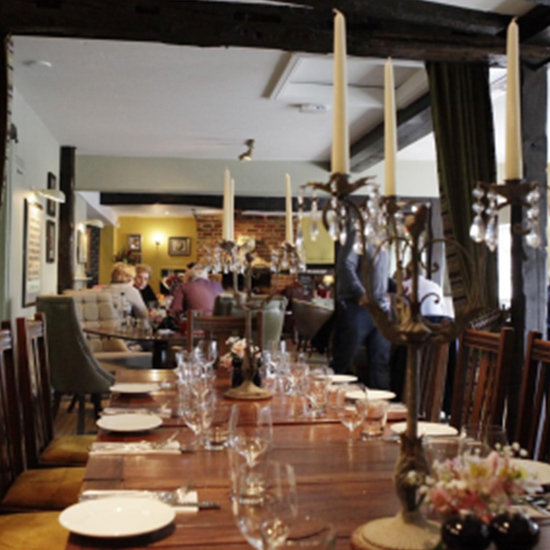 We are happy to offer bespoke menus and there is no room hire if you are dining with us. Call the pub on 01184 027065 for more information.